While attending the recent IMDA annual meeting, one of the most impressive sessions was the Awards of Excellence handed out to the best coaters. Seeing the creative, intricate, colorful designs of the winners, it was clear that the application of eye catching designs is an important differentiator in this marketplace. These award-winning designs, as well as the basic metal printing both require the application of solvent based surface coatings. These coatings contain volatile organic compounds (VOCs) such as ketones, xylenes, hexane and ethers which when evaporated during the coating process, react in the atmosphere to form ozone which can cause adverse effects on human health. Surface coating of cans is one of the largest industrial operations identified as sources of VOCs and as such is regulated by U.S. EPA under the Clean Air Act (CAA), 40 CFR part 63, subpart KKKK. The U.S. EPA final rule includes standards for hazardous air pollutants (HAP), as well as monitoring, performance testing, recordkeeping, and reporting requirements related to the standards. 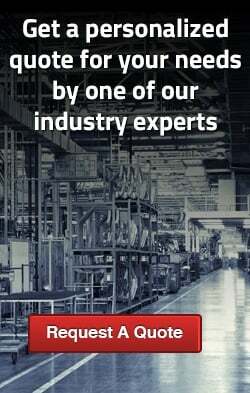 The standards require these operations to meet HAP emission standards reflecting the application of the maximum achievable control technology (MACT). A metal can surface coating facility is any facility that coats metal cans or ends (including decorative tins) or metal crowns or closures during any stage of the can manufacturing process. It includes the coating of metal sheets for subsequent processing into cans or can parts. The coating of metal coils for cans or can parts and the coating of pails and drums are included under separate source categories in the NESHAP, 40 CFR part 63, subparts SSSS and MMMM, respectively. Four subcategories are included in the metal can surface coating category: one- and two-piece D&I (drawn and ironed) can body coating, sheet coating, three-piece can body assembly coating, and end coating. Using a combination of both approaches. The most typical add-on control equipment is an oxidation solution to eliminate VOCs emitted from metal decorating applications. Oxidation of VOCs and other air pollutants works by simply oxidizing the air pollutants with oxygen and heat. In this environment the VOCs are converted to harmless inert byproducts like CO2, water vapor (H2O), and usable heat. These harmless by-products are released to the atmosphere or used within primary or secondary energy recovery techniques to further lower the operational costs. 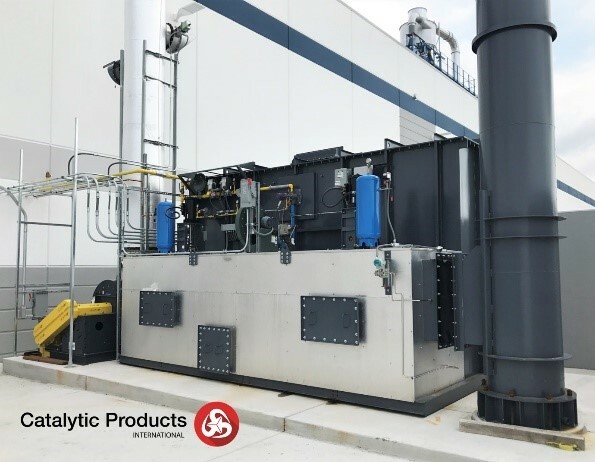 A Regenerative Thermal Oxidizer (RTO) is recognized as the most effective and cost-efficient way to destroy VOCs from these processes. 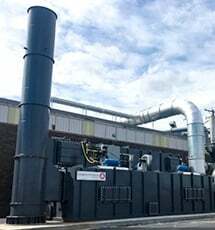 Each Regenerative Thermal Oxidizer (RTO) system incorporates specialized ceramic media in the regenerator (heat transfer bed) to allow thermal efficiencies up to 97%. 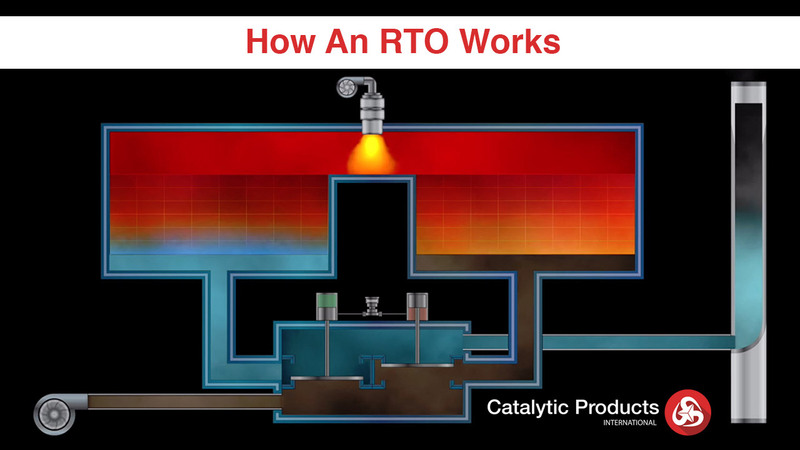 RTOs operate by preheating the process air as it passes upward through the first ceramic heat exchange media. This pre-heated air then exits the heat exchange media and enters a combustion chamber where it is heated to the setpoint temperature and oxidization of the VOC’s is completed. Hot, clean air is then passed downward through the second ceramic heat exchange media bed where it is cooled. This regeneration of the heat exchanger allows for much higher thermal efficiencies than traditional recuperative style heat exchangers. 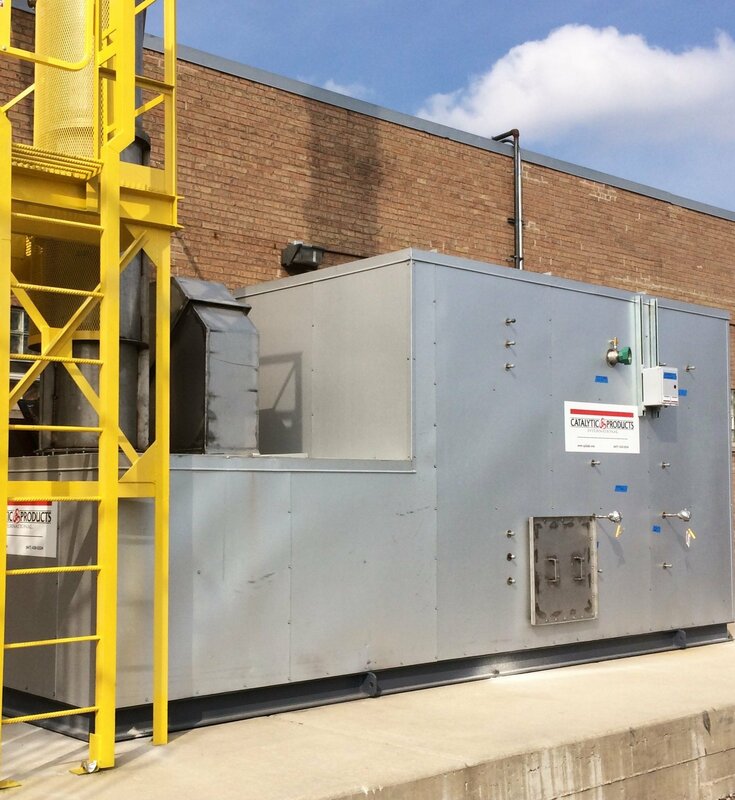 Additional control technology such as concentrator systems can be applied to processes generating large volumes of low concentration VOC-laden air prior to sending the process air to the oxidizer such as inside spray machines and flash-off areas. The exhaust air is converted to a smaller volume of highly concentrated gas, resulting in a smaller, less costly oxidizer. 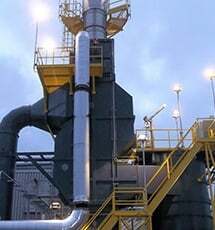 Concentrators can also be considered as a method to expand capacity to an existing oxidizer.